Who said that staying fit is not fun? 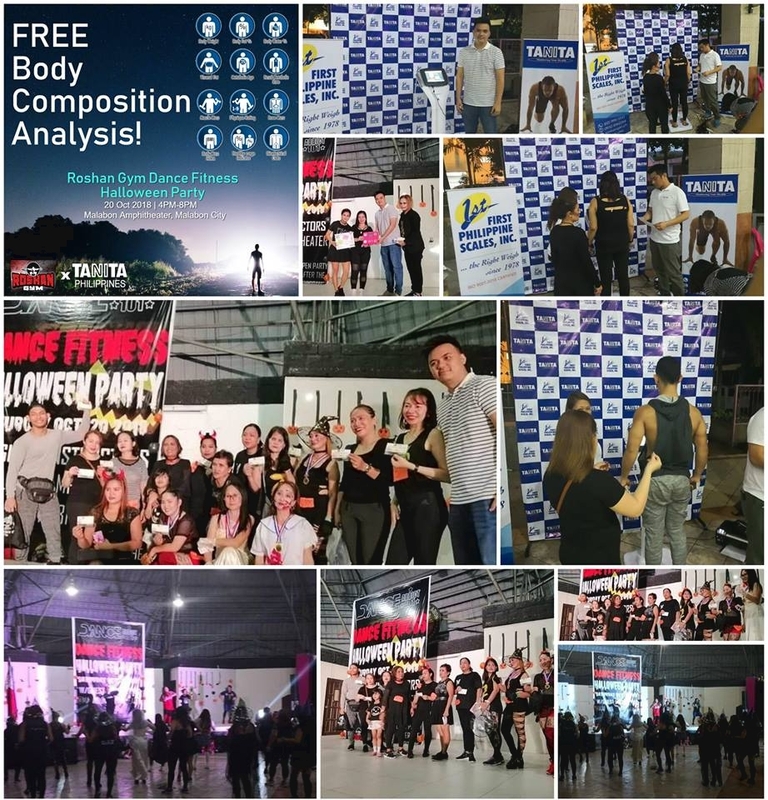 Last 20 October 2018, TANITA Philippines participated in Roshan Gym's Dance Fitness Halloween Party that aimed to promote health and fitness through dance while having fun. TANITA Philippines offered free body composition analysis to the attendees using the TANITA MC-980MA Plus Multi-frequency Segmental Body Composition Analyzer to help them better understand their body composition and how they can proceed in their fitness journey. Special thanks to the Roshan Gym Malabon management, event organizers, event staff, and participants for making this event as groovy as possible.